Love is in the air. What are your plans for Valentine's Day. Do you enjoy and look forward to this day? I do! 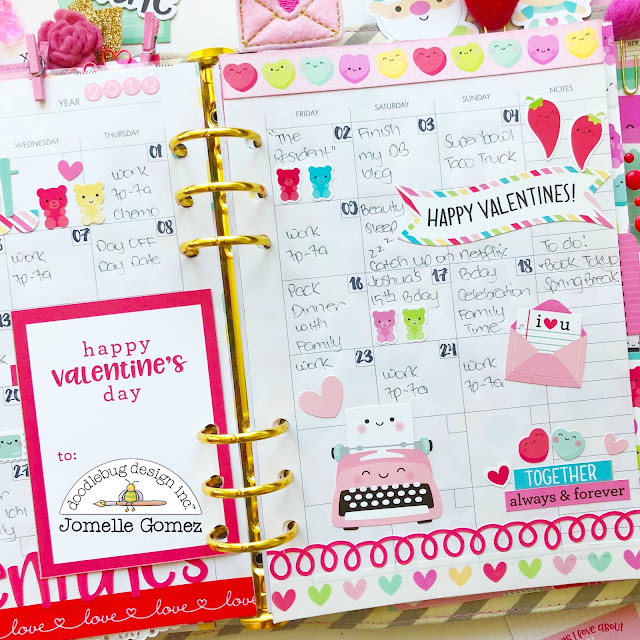 I also love to decorate and set up my planner all about LOVE. It's filled with lots of Pink and Red. 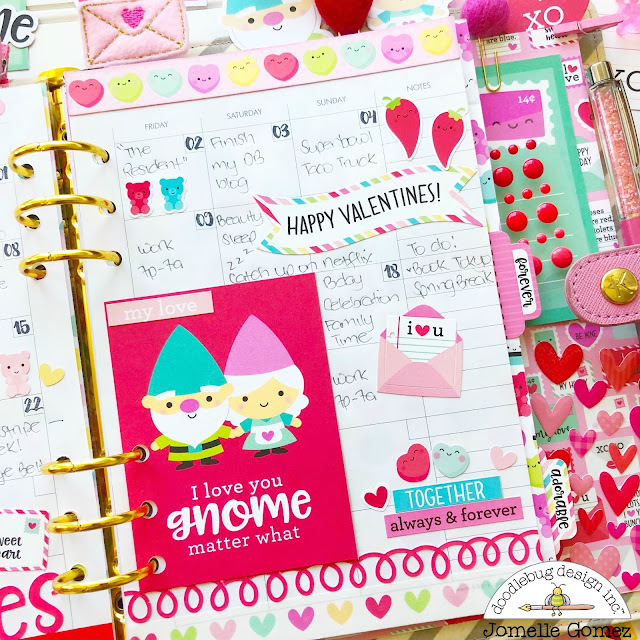 The "So Punny" collection consist of many different icons and can be used for variations of theme. I picked out the ones I wanted to use for my Valentine Planner set up. I finally made my very first Shaker Dashboard. I have to admit, it was a little challenging playing with the sequins. They were everywhere! 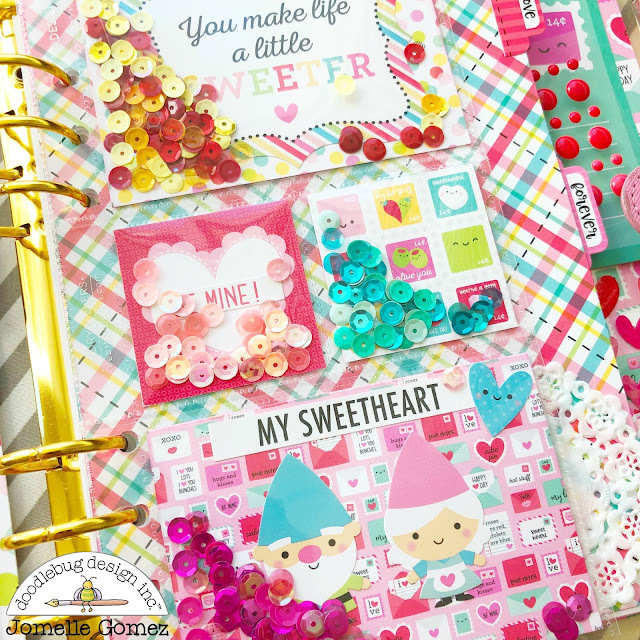 Doodlebug is known for their fun colors. I love how everything go together even the colors of the sequins matches. All the sequins I used are from Doodlebug. I had a hard time putting the sequins inside the plastic. The static didn't really help me either. I used a fuse tool to close up the plastic sleeve. 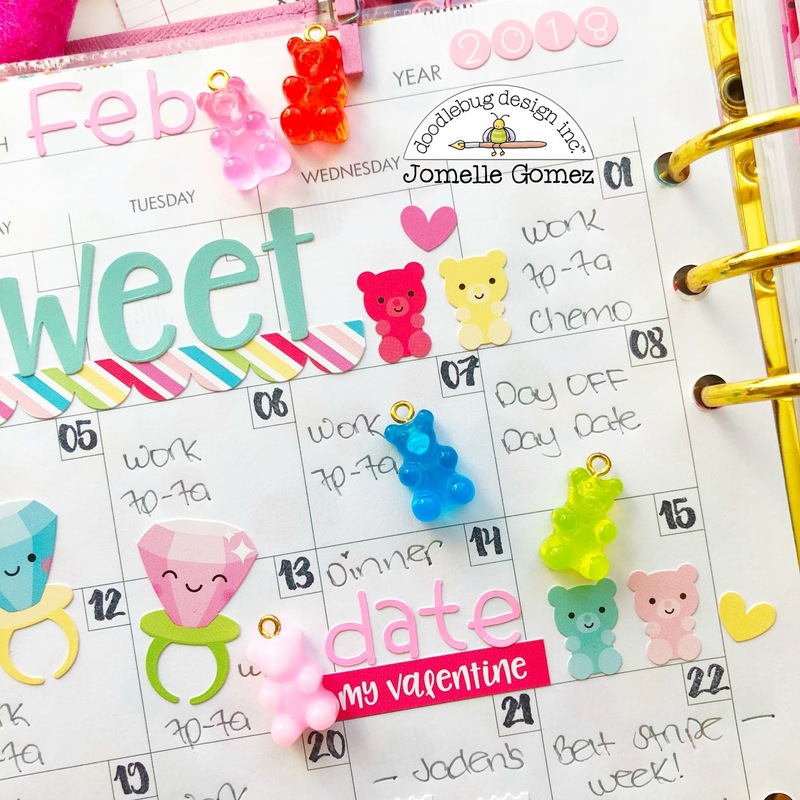 A Planner girl always need to have the pockets filled and decorated. I also like using clips and mini clothespins to add a little detail. I really wanted to have Mr. and Mrs. Gnome to be the main focus of the spread. I cut out one of the 12x12 cardstock Mr. and Mrs. Gnome and I punched holes to add in my planner. This piece can then be flipped over. Aren't the Gummy Bears Stickers so adorable? 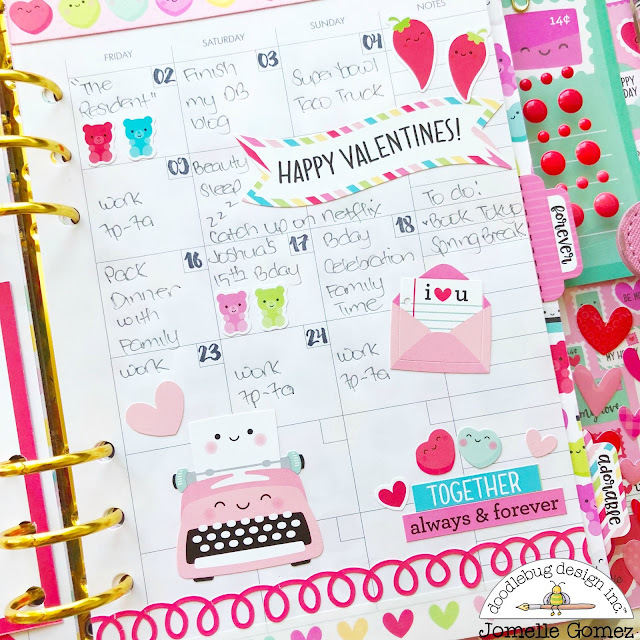 I hope that my planner set up helped you get in the mood for Valentine's Day. That shaker dashboard is fabulous! !